Naomi and I already told you about the tons of fun we had at Rockin' Jump on Commercial Drive in New Hartford and now we have a chance for you to win a "First Bounce Party!" 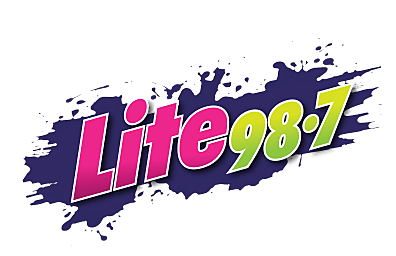 Lite 98.7 wants to give you a chance to win a "First Bounce Party" 3 times daily at 9 during your Workday Kickoff, again at 2 with Naomi, and at 5 with Eric. When you hear the bounce sound effects, be the 9th caller through at 721-0987 and we'll give you a 4 pack of tickets to the "First Bounce Party" that will take place on December 1st. Jump for joy with the First Bounce Party Giveaway! Enter to win and you and three others will be admitted to the Lite 98.7 First Bounce Party on December 1st from 6-8pm. Join exclusive company and get a firsthand look at the newest attraction in the area, before it officially opens to the public! You can also earn additional chances to win our website by clicking HERE. Rockin' Jump can host your child's birthday party and they'll get some excellent exercise, and have a blast too. Speaking of exercise, did you know that trampoline jumping burns an insane amount of calories? Five to eight minutes doing trampoline exercise is like running a mile, only with less time and effort and more fun. In fact according to a 1980 NASA study published in the Journal of Physiology, 10 minutes of jumping on a trampoline provides the same fitness results as 33 minutes of running. We're rooting for you to win this awesome "First Bounce Party." In the meantime, be sure to follow Rockin' Jump on Facebook by CLICKING HERE. Check out Rockin' Jump's website by CLICKING HERE. Just Jenn and I talked about how to win this "First Bounce Party" today.